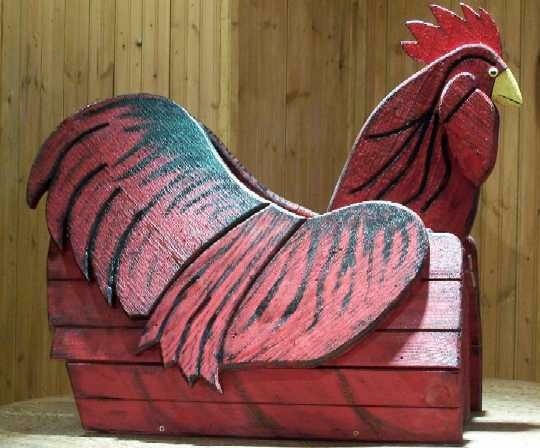 Colors shown on the images will vary from your computer, there is nothing we can do about this. 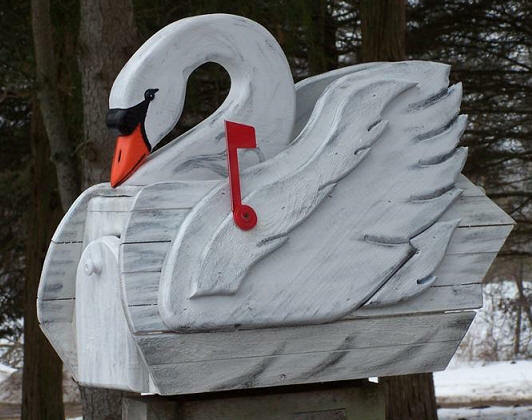 Your mailbox will be similar but never exactly the same. 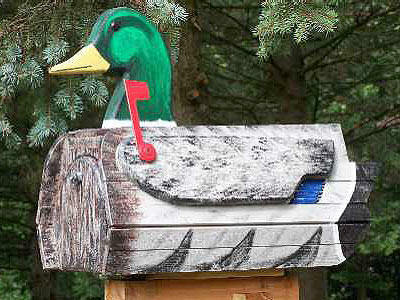 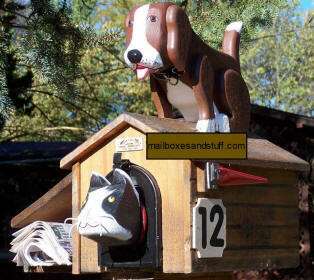 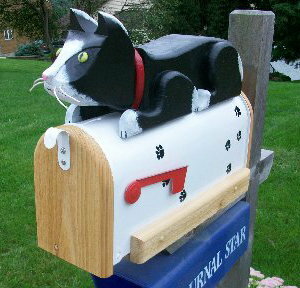 Our Woodendipity Sculptured Cedar Mailboxes are sure to Please animal lovers!! 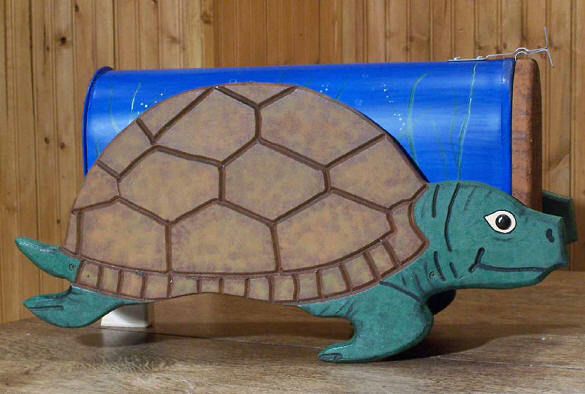 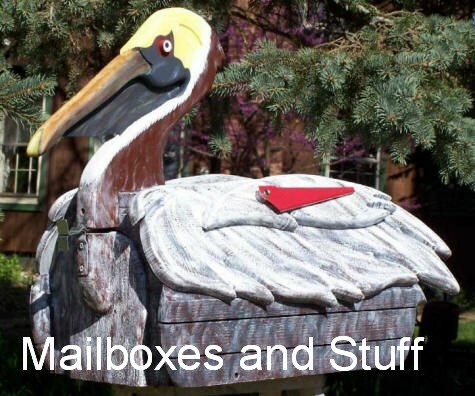 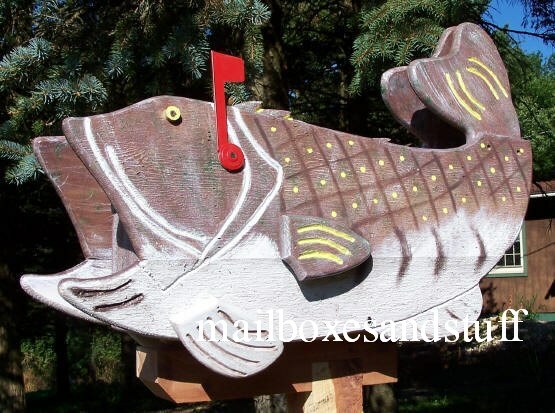 The ever Popular Woodendipity Pelican Mailbox, Manatee Mailbox, Largemouth Bass and Sea Turtle Mailboxes will bring an exotic air to your landscape. 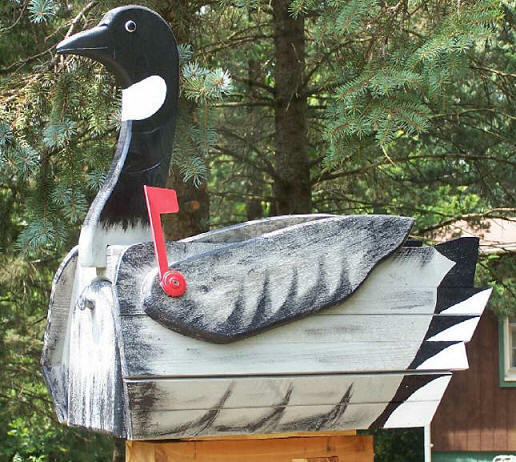 But that's not all ... we also have the Popular Canadian Goose mailbox, Bantam Rooster mailbox, Playful Pooch and Sculptured Cat, Unique Dog House Mailbox, Cow Mailbox, Rabbit Mailbox, Mallard Mailboxes and so many MORE ! 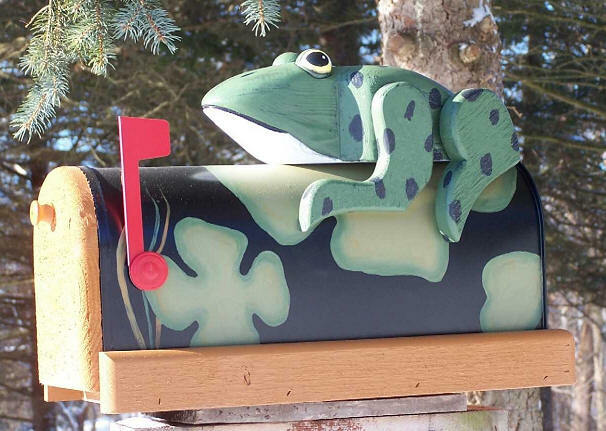 Woodendipity Inspired Mailboxes are carved and sculpt by hand out of Cedar and Pine to create the realistic lines and textures that bring them to life. 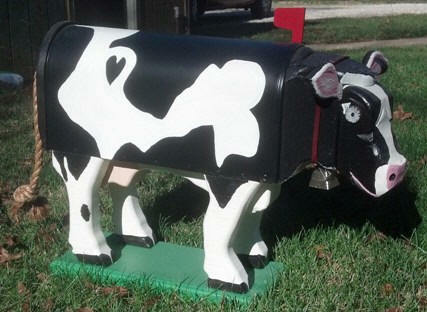 The Cow Mailbox comes ON the Stand shown for mounting on top of a post or free standing.